Home » Service Manual Catalog » EPSON Adjustment Programs » InkJet printers » Reseter_L120 I have paid for Reset Key but not received yet. Epson L120 (ESP) Ver.1.0.0 Service Program New! 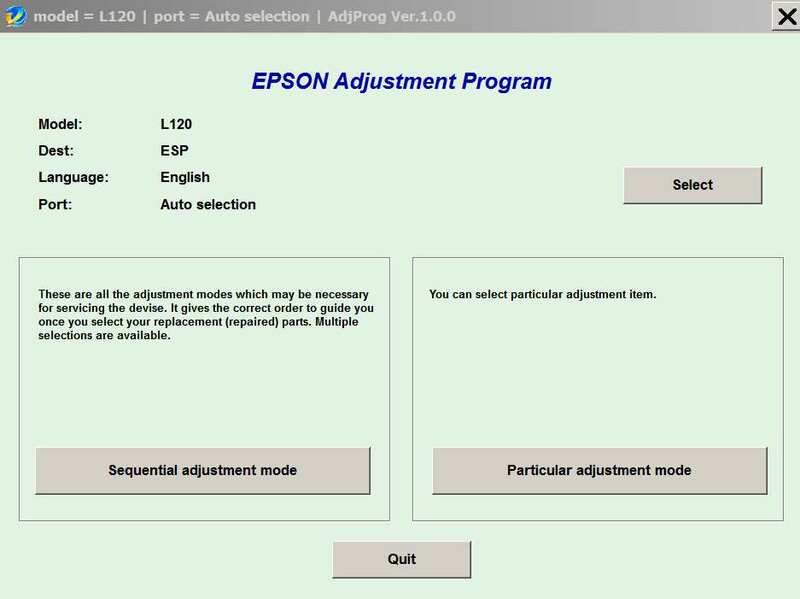 Epson L120 Adjustment Program can be used under Windows only (Millenium, 2000, XP, 7, 8, 10, Vista [in compatibility mode]). 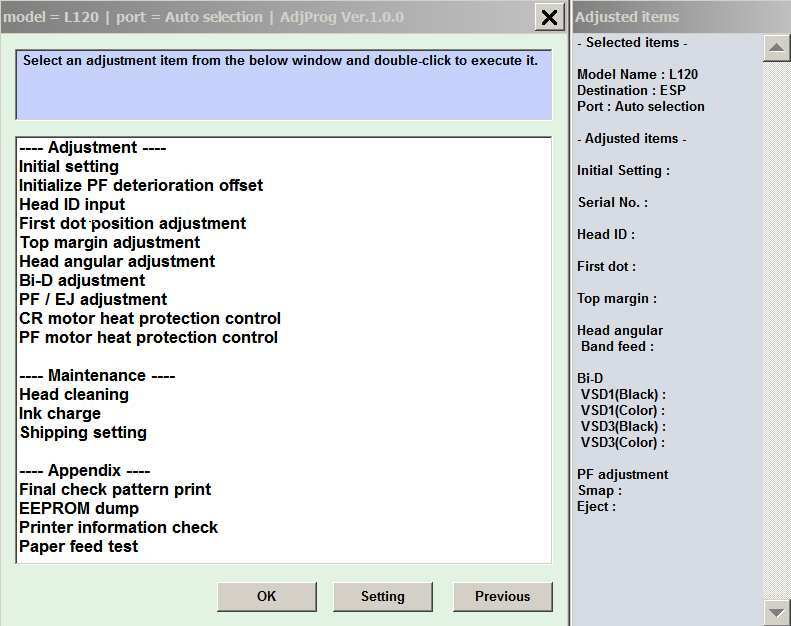 We recommend reading the Epson L120 Service Manual before using the adjustment utility. 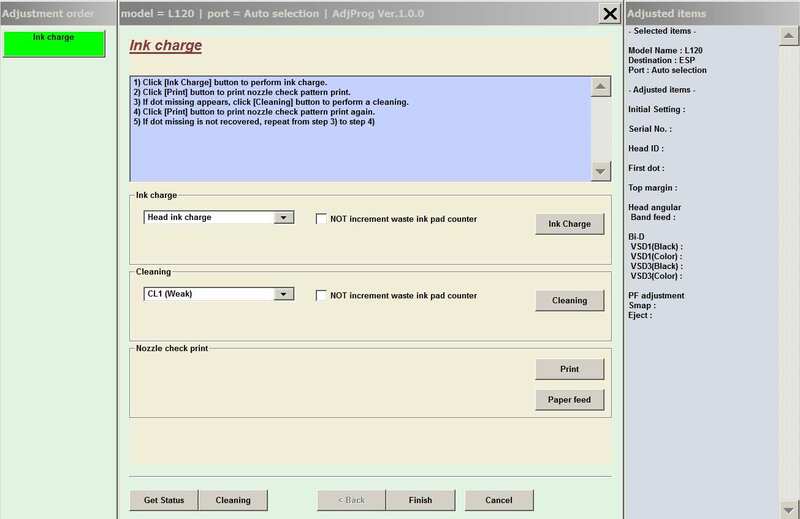 Want to get 50% discount for this Epson L120 Adjustment Program? You'll get special link for making order with 50% discount for L120 Adjustment Program. Watch Video How Reset L120 by Trial Reset key Free! Share this page with your friends and get 50% discount for this product. Notify me of updates to Epson L120 (ESP) Ver.1.0.0 Service Program New!